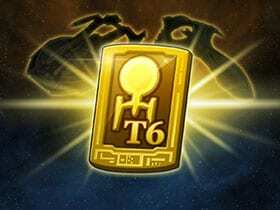 Star Trek Online is a sci-fi MMORPG with a full universe featuring stories from the popular television shows and movies. Seek out strange new worlds and encounter a variety of alien species in one of the few games based on the iconic Star Trek franchise. Explore the galaxy, visiting all 4 quadrants including 100+ unique Star Trek locations. Interact with characters from the TV show, complete with voice overs by the actual actors/actresses. Create a Captain and lead a team for combat and exploration on the ground and also command a starship in space. 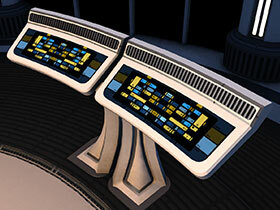 As a Captain, build your avatar, bridge crew, and starships for a completely personalized Star Trek experience. Experience consistently updated content that introduces new locations and iconic characters straight from the Star Trek universe. ™ & © 2018 CBS Studios Inc. All rights reserved. STAR TREK and related marks are trademarks of CBS Studios Inc.
With the items found in the Gamma Vanguard Pack, you’ll be well-prepared to tackle these threats -fighting the Hur’q alongside the forces of the Dominion – or as a part of it! The Gamma Vanguard Starter Pack contains several helpful items to start your adventure fighting the Hur’q within the Dominion. 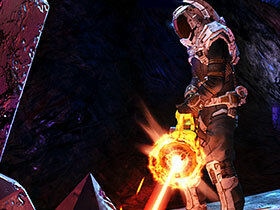 The Starter Pack contains several helpful and stylish items for creating your brand-new Temporal Agent in Star Trek Online: Agents of Yesterday. Note: This Start Pack is already included in the Temporal Special Agent Pack.